This mod adds tweaks to the game, along with a few new items. To give incentive to adopt new versions of Minecraft, in 1.12, I've added a creative flight ring, Gothic Glass and Glowing Obsidian. As of version 1.4.0, CTD Tweaks now requires CTD Core to be installed! Versions 1.5.5+ requires Baubles. I made this mod, firstly, to have some form of automatable way to do the wither fight in the private 1.10.2 pack I'm hosting on a server for my friends. Eventually, I added fuel, recipes for hard to obtain items in game. Soon, I'll be adding gag items, and some other "nice to have" items as well. As long as the pack isn't placed behind a paywall, go ahead! A little nudge would be nice, but not important. Should maybe consider making the Baubles in your mod usable in "(any)" slot since 97% of bauble items are rings. Its working for me bud. In what? Doesn't work in any of Extra Utilities 2's generators, or in any furnace from More Furnaces, or Actually Additions' Coal Generator, or even the vanilla furnace. In CTD Tweaks 1.7.1 (haven't updated personal pack yet), its working in the Extra Utils 2 (1.6.3) generators, Actually Additions's Coal Generator (1.12.1-r120) AND Vanilla (1.12.2) furnace. Where is the Knockback 10 Stick? Its not its own item. Surround a stick with 4 pistons and it'll create it for you! Couldn't that still be a recipe in JEI though? Also, Where's the "Drill" mentioned in the config? 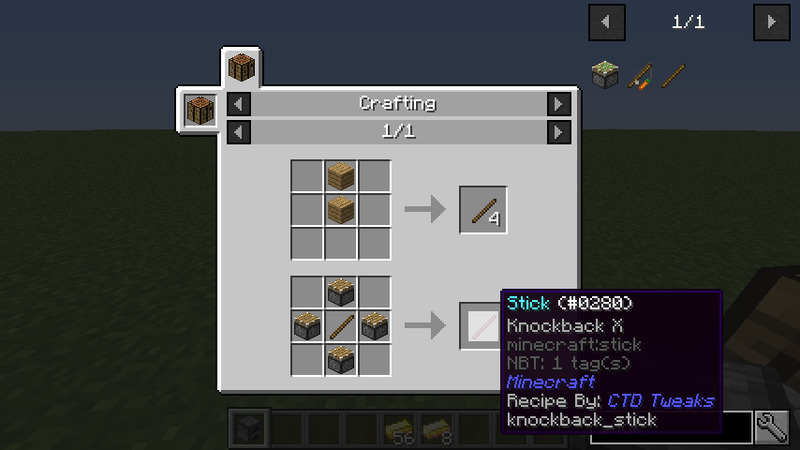 Edit: Yeah, it shows up in JEI under the Vanilla stick. Note that it'll also show up in the recipe book as its own entry, though! So is it currently working properly or no? 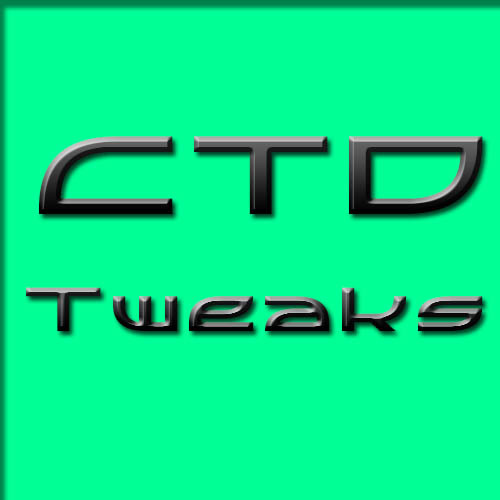 Have you tried with just CTD Tweaks and its dependencies? Because it's working for me. For me to actually be of any help, I need mods, version numbers, etc. My bad. Seriously thought you were talking about the stick. No the drill isn't obtainable. When will it be? Who knows. So - according to JEI, a combat core costs a nether star to make, and you can make a nether star with it by adding 3 wither skel skulls - that does NOT sound like a good deal to me as I've basically lost a nether star. It would need to make 3 nether stars to come out ahead, although you could argue that 2 might be alright as you don't have to fight the wither. Unless I misunderstood what you mean, which is likely the case. Will you make a list of additions? It would be quite helpful. Of course. My bad. :D Updating the OP.